All MAXIM Glider ropes feature our Twill Pattern Technology (TPT), a unique one over one sheath design. The result is a smooth climbing rope that reduces drag, giving the feeling of lighter weight as you pull the rope through protection. MAXIM Glider is also available in double dry options. For Ice climbing MAXIM recommends 2x-DRY treated models. All MAXIM Glider ropes feature our Twill Pattern Technology (TPT), that gives it impressive drag reduction. This unique one-over-one braiding technology results in very supple feel, which makes the Glider series slides through belay devices without kinking. Our MAXIM Glider excels at day-to-day single pitch cragging, particularly on sharp rock that can chew up ropes. 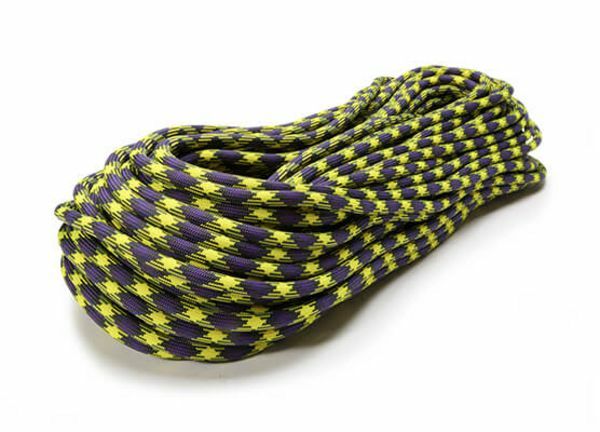 It is incredibly durable, making it a great choice for people or groups looking for a rope that will last a long time and hold up to abuse while sport or trad climbing. What really separates the Glider from other (lead) climbing ropes is the supple feel, easy clips, and superior hand. These ropes all include our Endura DRY treatment in the core yarns. Select models also feature our 2x-DRY treatment, which means that we also dry treat the sheath for superior water-repellency. This level of treatment meets the UIAA Dry standard. MAXIM Glider ropes are available in 9.9mm, 10.2mm and 10.5mm diameters across a variety of lengths starting at 30 meters and are therefore suitable for many different climbing styles and routes.